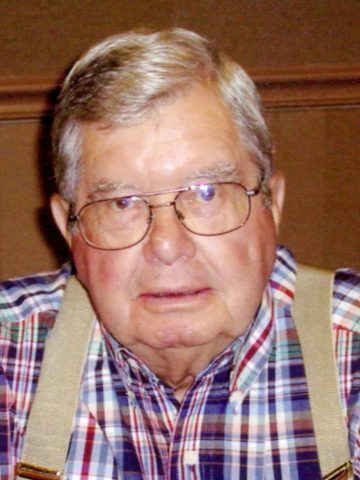 Charles E. Evans, 93, passed away Monday at Skyline Medical Center, Madison. Born September 21, 1924 in Nashville, he was the son of the late Cecil R. and Eva (Henderson) Evans. Charles served in the US Navy during WW-II and was present at Pearl Harbor. He was a gunners mate 2nd class aboard the USS Rall. He maintained his connection with his fellow sailors and attended every USS Rall reunion. Truly a man who understood the value of hard work and entrepreneurship he began his career with Dupont, moved on to a 27 year career in the financial services field with Associates Capital (now Associates Financial Services) from which he retired, “barely”, as he began a real estate investing endevour and also bought Hailey’s Salvage which he operated for almost another 30 years. During that time he expanded Haily’s to a second location on Lebanon Rd. His Evans Properties, real estate investment company also expanded during his lifetime. Not content with personal endeavors, Charles was always giving back to his community. He had been a member of the Civitan Club, the Lions Club, and the Goodlettsville Lodge 271. Among his other interests were quail hunting, racing go-karts at Beech Bend, spending part of his winters in the Tampa area of FL and restoring old cars. In addition to his parents, Charles was predeceased by a son, Charles Michael Evans, and his brother, Cecil Evans Jr. He is survived by Mrs Jo H. Evans; two daughters, Martha Swafford and Kathy Rollins; grandchildren, Paula Kotler, Kimberly Smith, Priscilla Evans, Brandon Evans and Tiffany Rollins; several great-grandchildren; and his sister, Dorothy Lamberth. Visitation for Charles will be held at Cole & Garrett Funeral Home, Thursday from 4 – 8 PM and Friday from 9:30 – 10:30 AM. A life Celebration Service will be held at the funeral home Friday at 10:30 AM followed by interment with military honors at Hendersonville Memory Gardens. You tried to keep us from him always blocking calls,visits, invitations, poisoning his mind with lies from your own jealousy. Even went as far as to try to bar all that loved him from his hospital room and limited his last hours with rations of minutes for visits..pressing forward and excluded all that loved him from videos and pictures, excluding and spelling names wrong in the obituary and in a service to honor his life..Oh how hard you worked..it must have been so exhausting for you all of these years..you know who you are and so does God…but in the end you still couldn’t close his heart off to us all..that must have really made you very angry and bitter..you see Darling.. Love Always Conquers Evil..evil never wins out over Love! God sees all,knows all, and hears all! This knowledge has always given me comfort and still does..God is still on the throne and you will have to answer for all that you have done..and that my Dear gives me great comfort!